Ahmad Sa’adat is a hero. He has devoted a lifetime of struggle to the effort to bring about the complete liberation of Palestine. And because he has always insisted on doing the right thing, he now faces trial at the hands of the Israeli authorities, the occupiers of Palestine. Ahmad Sa’adat is confronting the Israeli military court at the Ofer Military Base in the city of Ramallah, Palestine. He is doing so with courage and dignity. He refuses to recognize or cooperate with the court. The court has no legitimacy and the same thing can be said about the state of Israel. To occupy and steal the land of another is a crime and it can be said with confidence that the real criminals are presiding over Ahmad Sa’adat’s trial. Most every Palestinian knows the name of Ahmad Sa’adat. He is the General Secretary of the Popular Front of the Liberation of Palestine and he was elected to the Palestinian Legislative Council. It important for people in this country, the United States, to learn who he is and what he is about as well. U.S. financial and military aid funds the Israeli occupation of Palestine. At the end of the day, it’s U.S. dollars that make travesties like the trial of Ahmad Sa’adat possible. Ahmad Sa’adat has done nothing wrong. At all. 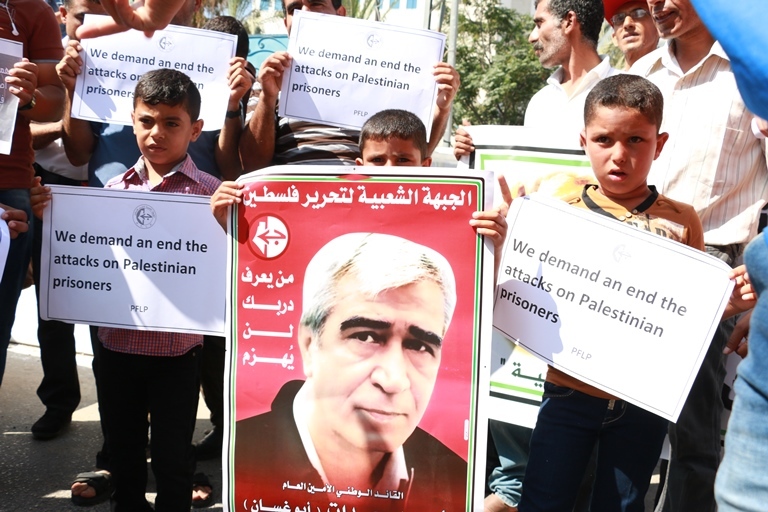 The charges against him are political charges like, ‘membership in a forbidden organization.’ A campaign is underway to demand Ahmad Sa’adat’s freedom. This campaign deserves the support of all who yearn for justice and who stand in solidarity with those who have the determination and clarity of vision to fight for it. 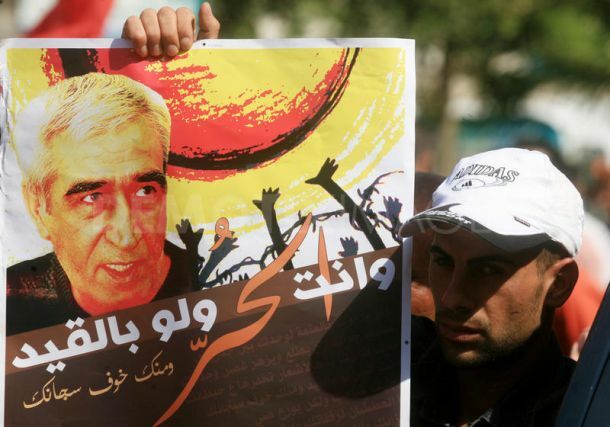 Free Ahmad Sa’adat and all other Palestinian political prisoners! End the occupation of Palestine! Cut all U.S aid to Israel!